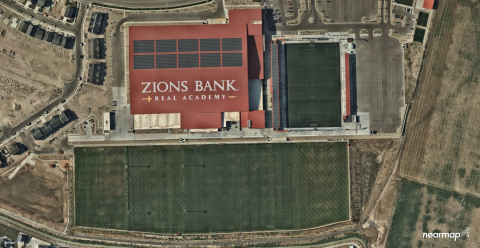 SOUTH JORDAN, Utah--(BUSINESS WIRE)--Auric Solar, a residential and commercial solar power provider, has turned to Nearmap, a premium global location content provider specializing in high-resolution, aerial maps, to accelerate the company’s initial assessments, have a more complete and accurate view of properties, and create winning proposals. “Aurora’s responsive engineering interface coupled with Nearmap’s high-resolution captures allow us to use a combination of 3-D lidar models and 2-D high-resolution maps for complete accuracy in the planning and measuring stage of a project. This equips both the sales and analytics teams with accurate information to save time, money and serve the customer,” said Tyler Soukup, Director of Analytics at Auric Solar. “We’ve been able to qualify more customers than ever because of Nearmap’s clear, current captures. You really can't accurately qualify a property without up-to-date imagery,” notes Soukup. Auric Solar is one of the fastest growing companies in the nation, with recognition on three consecutive Inc. 5000 lists and offices in Colorado, Idaho, Oregon and Utah. View a current project in Nearmap today. For more information, visit https://go.nearmap.com.